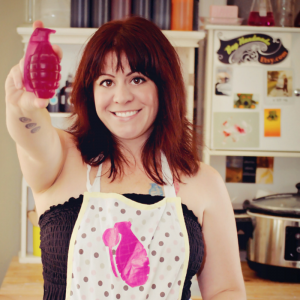 Megan Green is one of the organizers of Midwest Craft Con (along with her co-organizers Brit Charek, Organizer of Crafty Mart and Grace Dobush, Co-founder of Crafty Supermarket). I loved talking with Megan and learning, not just about this great business conference, but also about Megan’s crafty and creative entrepreneurial journey… If you’re like the rest of us, then you’ll enjoy hearing the story of her personal journey as well. If you’re anywhere near Columbus, Ohio then listen in to learn just why attending Midwest Craft Con can be a real boost for your creative business. Megan and her co-organizers have lined up a top-notch collection of educators and successful business owners in the maker and creative business field. Something I want to make more time to do is highlight more business conferences around the U.S. and actually, globally, that cater specifically to creative business owners and makers so I am thrilled to present this one to you. Midwest Craft Con is going to be taking place on February 16-18, 2018 in Columbus, Ohio. 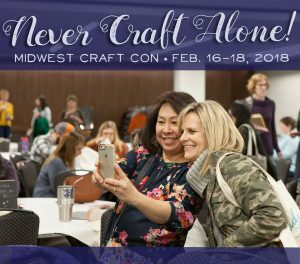 After listening to our conversation, please be sure to visit the Midwest Craft Con site to get additional information about the conference, speakers, registration, lodging, etc. If you plan to attend the conference please let me know… I will try to attend it as well.